Dr McCombe graduated in Medicine from UQ and completed a Science degree for medical students. She then trained as a neurologist in Sydney, at Prince Henry and Prince of Wales Hospitals. She obtained a PhD from the University of Sydney. She obtained experience in Neurophysiology in Cleveland and then returned to UQ as a post-doctoral fellow. She worked for some years as a research fellow in Neuroimmunology and was an NHMRc SRF. 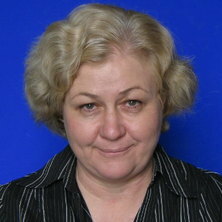 Later she resumed clinical practice as a neurologist, and contimued her research as an NHMRC Practitioner Fellow. She is currentlyProfessor and Head of the Royal Brisbane Clinical school in the School of Medicine and Co-head of the Brain and Mental Health Theme at the UQ Centre for Clinical Research. Female infertility and multiple sclerosis: is this an issue? Venous thromboembolism in amyotrophic lateral sclerosis: Should we consider routine prophylactic anticoagulation? Bladder dysfunction in multiple sclerosis. Anti-ganglioside antibodies in peripheral neuropathy. Pregnancy Outcomes in Alemtuzumab-Treated Female Patients with Active RRMS in the Clinical Development Program. Alemtuzumab provides durable improvements in clinical outcomes in treatment-naive patients with active relapsing-remitting multiple sclerosis over 6 years in the absence of continuous treatment (CARE-MS I). Does genetic variation in genes controlling pro-inflammatory immune responses modulate outcomes of MIS416 treatment in patients with multiple sclerosis? T cells in stroke - part of the solution? Identifying biomarkers for MND using flow cytometry.